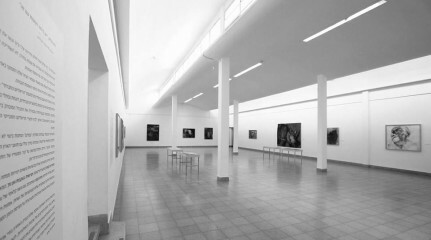 The architect of the Mishkan Museum of Art in Ein Harod Shmuel Bickels (Lvov, 1909-Kibbutz Beit HaShita, 1975) was an inspired multidisciplinary artist. His buildings are characterized by unique treatment of filtered incoming natural light. Like other European artists who have immigrated here in the 1930s, the encounter with the glaring Middle Eastern light inspired Bickels to conduct ongoing research and develop a series of original solutions. The roofs of the Mishkan are sculptured as a series of waves that create hidden upper windows and domes that reflect the light and let it flow like a glimmering cascade over the walls. The light source is hidden from view and it is filtered and regulated in a way that bestows a natural and tranquil splendor to the space. Bickels studied architecture at the Polytechnikum in Lvov, his hometown in Poland (currently Lviv in Ukraine). In 1932, he stayed in Paris, where he was deeply affected by modernist-urbanist approaches. In 1933, he immigrated to Palestine out of Zionist and socialist motivations. From 1937 to his death, Bickels was a kibbutz member (first Tel Yosef, then Beit HaShita) and was active mainly in the kibbutz planning scene. He considered himself the servant of the kibbutz idea and ideology was suffused into every aspect of his planning. 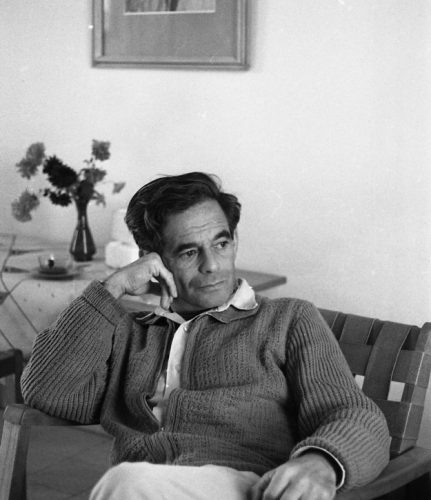 At the same time, unlike many of his fellow kibbutz members, he was an individualist, and intellectual and a man of the world. Bickels planned the master plans of dozens of kibbutzim from Dafna in the north to Eilot in the south. In all of his plans, public and cultural institutions were central, both physically and conceptually, and he sought to create social centers that combine outdoor and indoor spaces for a variety of cultural and artistic events. In many of the kibbutzim he planned, he was also in charge of planning the cultural institutes in particular. 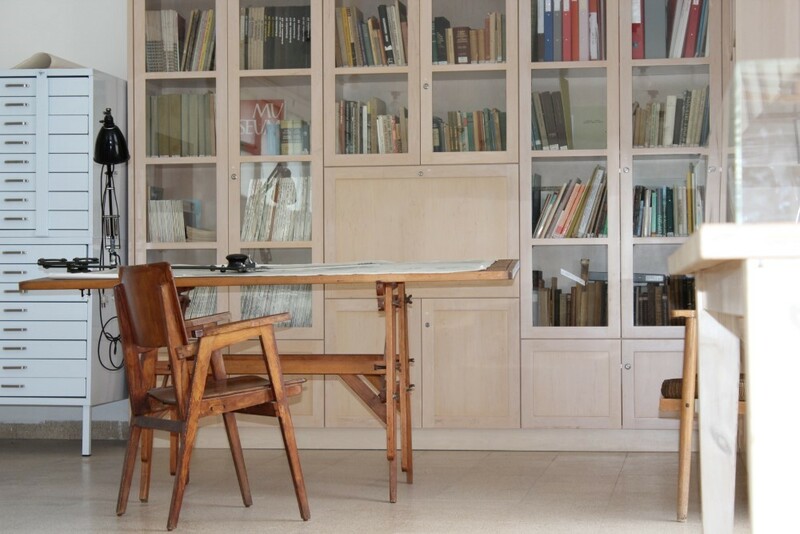 In keeping with his comprehensive European approach, each cultural center provided multiple functions: conference hall and auditorium, library, reading and study rooms, music rooms, a gallery or museum, a kibbutz members’ club and memorial rooms. His plans were large-scale and visionary, and only rarely executed in full. Current circumstances, shortage of funds, and the small number of members in each kibbutz led to delays and partial execution of his epic vision. Bickels was an extraordinarily meticulous planner; he studied each building in depth and proposed original and creative solutions for lighting, ventilation and acoustic problems. He was a master draftsman and would often sketch portraits of friends and acquaintances. He had an unusual musical talent, he played the violin and sang complex arias. 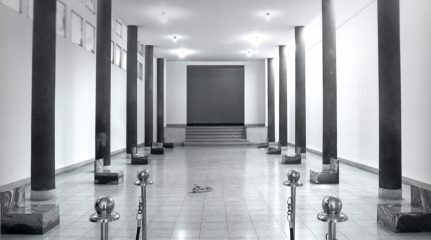 His multiple talents also included proficiency in six languages, and his extensive library evinces intimate familiarity with events in the international architecture scene. Bickels’ architectural style may be characterized as modernist neoclassic, with formal cleanliness and functionality with attention to order and rhythm, and column and beam elements. The buildings he planned are restrained and direct, with no expensive materials, but boast creative planning and careful attention to details that have stood the test of times. They are among the classic masterpieces of Israeli architecture.